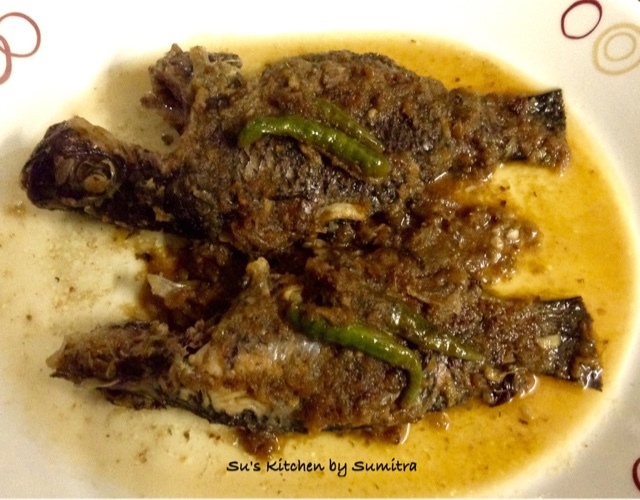 This recipe is adapted from the book "Thakur Barir Ranna". I have recreated this recipe by adding whole garam masala and green chillies and made it as per my convenience... It is a semi dry dish. This is a very simple and easy to make dish. Even though there are no spice powder added in the recipe , yet it is so tasty. It can be eaten with hot steamed rice. Marinate the fish with onion paste, ginger - garlic - chilli paste, salt and vinegar for about an hour. Take a flat bottom pan, add the ghee. Let it melt, add the whole garam masala and the bay leaf. Sauté it for few seconds till the garam masala crackles. 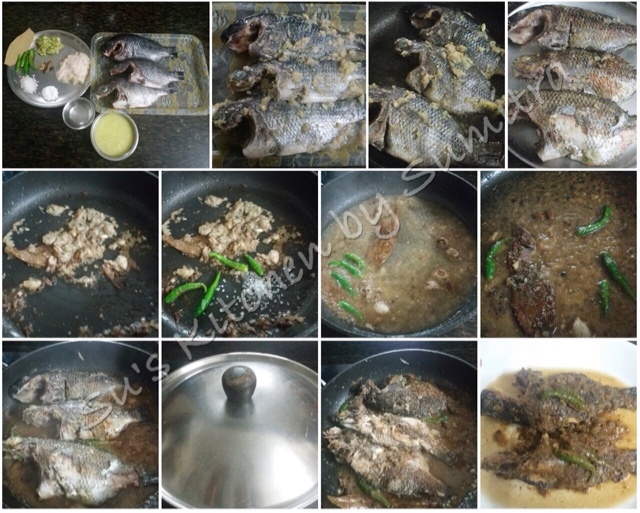 Add the fish pieces into the pan, fry it till light brown in colour on both the sides. Remove it from the pan and keep it aside. Add the remaining marination into the pan, sauté it till light brown in colour. Add the green chillies and sugar, sauté it for a minute more. Add 3/4 cup of water and let it simmer till the gravy reduces a bit. Adjust the salt, stir it and add the fish. Cover and let it simmer for 2 minutes. Open the cover and turn the fish gently. 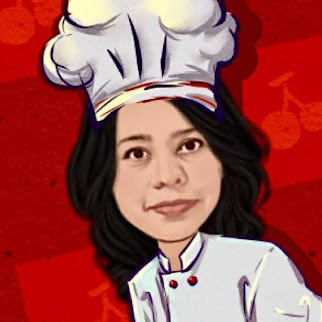 Cook for a minute more. Serve it with hot steaming rice.